These small ornaments were part of the Christmas gifts I have made ​​for my son's kindergarten best friends. I wanted to make something small and cute that they can hang in the Christmas tree or even on their backpack. 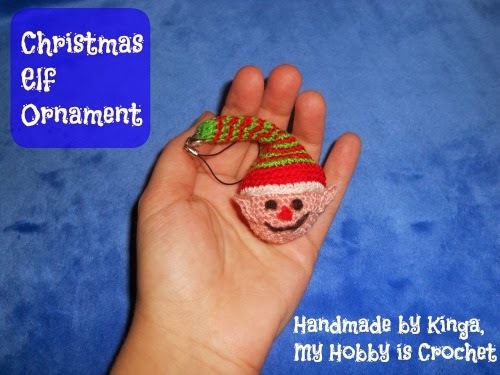 To obtain small sizes for the ornaments I have used thread, embroidery floss and a 1,5 mm crochet hook. - small plastic star applique. 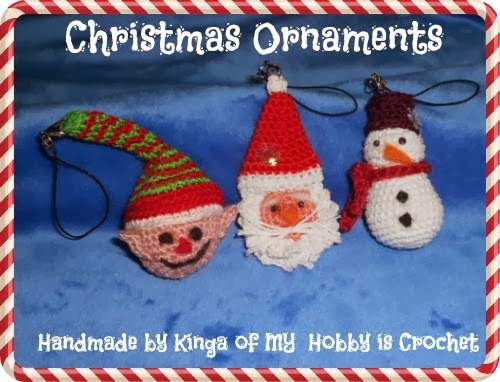 All three ornaments are made using free crochet patterns found on the web. To open the pages with the free patterns used, click on the title of each project. 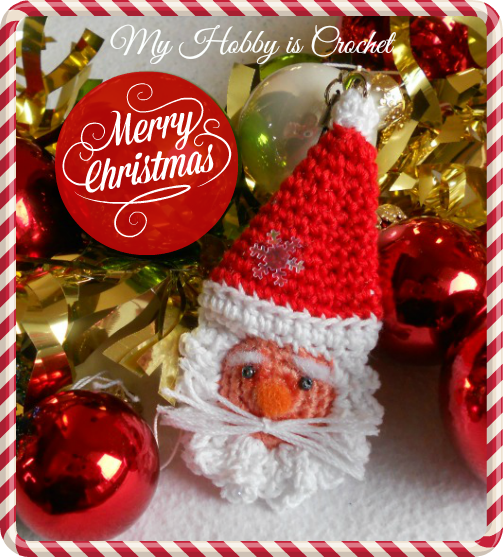 1) Crochet Santa Claus, Free pattern found on Ravelry by All Crafts. I really enjoyed making this little man! It's so cute, isn't it? My version made with crochet thread and embroidery floss is much smaller as the one in the original pattern. I haven't followed the pattern exactly, started with more stitches as in the pattern indicated, because using embroidery floss it would have turned out much too small. The pattern was just a general guide for me. 3) Crochet Snowman, i used the Free pattern by Repeat Crafter Me. I followed the pattern almost exactly. I used crochet thread size 8, so my little guy measures 6 cm. So tiny and cute! :) I loved making it as well! I like these ornaments so much, I will make some for my kids also. And you? 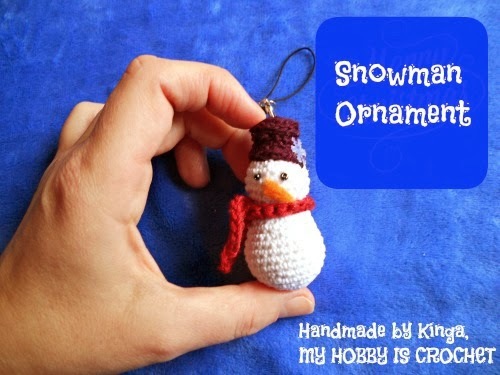 Have you started working on Christmas Ornaments already?